With a home base in NJ, Henry has been teaching classes about Electro Magnetic Compliance (EMC) for almost 30 years! It’s a mix of private and public sessions, the most recent public one being in Dearborn, MI. It’s a 3 day class. Henry is the only instructor and has an assistant who helps him set up and schedule classes. The primary topics revolve around cabling/grounding/shielding/mixed signal/noise. Interested? Check out his books! He start in analog design and got into EMC it by accident while working at Bell Labs in NJ. 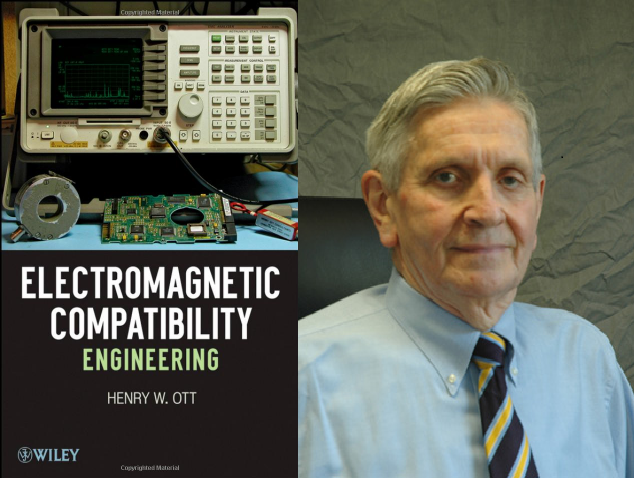 During the early part of his career, solid state devices were just coming into vogue, meaning Henry experienced the birth of silicon and its spread in the industry. The culture of Bell Labs was special in research and Henry also saw it while he was in development. He recommends “The Idea Factory” to learn more about the history there. As he dug deeper into EMC, he started a continuing education program after seeking out one about noise. He recognized the need for a course/class on noise/interference. This also was when he started his work on the first edition of Noise Reduction Techniques in Electronic Systems (1977). The second (and current) edition came out in 1989. He developed much of the content while at Bell Labs and later when he saw problems in consulting. Over on the subreddit, fews asked about resonant cavities. Hardware wise, Henry suggests a good set of loop probes to help determine where there might be emissions. He also likes the Rigol 815 spectrum analyzer. 10 ways to maximize the emissions from your product. Two examples are interrupting the return current and improper termination. Dr Clayton Paul, who recently passed away, used to teach students by having them create a digital project and then showing how they couldn’t sell the product because of EMC. Lots of problems are coming from variable AC Motor drives. These are prevalent in electric vehicles. Cars don’t come under FCC but they are 40 dB less than gov’t requirements. Radiated vs conducted: Radiated is above 30 mhz, conducted is less than 30 Mhz. Designing a shielded box isn’t easy, it’s about the apertures. Cables still go in and out and are a source of errors. You need to limit the size of the seams. Additionally, the mains are a great antenna and need to be tested. Power line filtering can help reduce this problem but 90% of the time it’s not a power line filter problem, it’s mechanical. Henry is an IEEE Life member. The IEEE formed in 1963 when the AIEE (American Institute for EEs) and the IRE (Institute for radio engineers) combined. Are we reaching the upper boundary of electronics? Henry thinks we are for FR4 (based on operating frequency) but is hopeful for optical interconnects. Thanks to Henry for being on The Amp Hour and sharing his vast knowledge and stories about EMC. We highly recommend you check out the Henry Ott Consultants page on the web to learn more about Henry and the field of EMC. I had to deal with EMC in the products I designed. I took a 3-day course by Kimmel Gerke – Tektronix Hosted EMC/SI Seminars http://www.emiguru.com/ and the book that they provide with their course is handy. Item above maybe needs to read this way? Caps for emphasis; I’m not shouting. We actually send all of our guests the same mic. It was a failure on our part to hear how badly we were overloading it. The quotation attributed to Einstein is usually called Occam’s Razor, supposedly from William of Occam (14th century) but much older in origin. Nothing more fun (read: hair-pulling frustration) than finishing a product’s electronics and finding EMI issues. Bought his newest book about 45 minutes into the podcast! My copy of the book arrived! It now sits beside The Art of Electronics at the reach of hand. Great episode, great guest.